""Thank you for the great service! Jeremiah was excellent and extremely responsive." 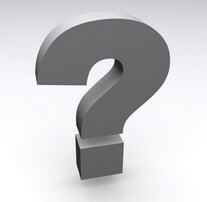 Have a question about your av equipment rental bill? "Carol at Aviva was very helpful in providing quotes and setting up delivery & pickup." AVIVA offers comprehensive audio visual services management to conferences, conventions and events large and small. With AVIVA, you get affordable, pro-grade, audio visual equipment and name brand computer equipment rentals along with professional tech services. "Aviva is a great company...and they have very reasonable prices. Highly recommended." Check AVOVERNITEUSA.com for overnight shipment of audio visual equipment. Why should I rent a projector or computer from Aviva when I can buy one? The average cost of a replacement projector bulb is in the hundreds of dollars. Bulbs dim over use and time & need to be replaced regularly. One projector may not be suitable for all your meetings, confernces and events. A projector or computer purchase is considered a capital expenditure and is not always permitted or reimbursed by companies. Audio visual and computer rentals can be written off as a business expense for tax purposes. Technology changes and advances quickly, compatibility issues may arise. Renting audio visual equipment and PCs or laptops is less expensive than buying! Do you give special rates for extended rentals? Yes, many of our clients require a laptop rental for a month or longer. We will work with you and your budget to make you one of our satisfied customers. Do you rent to sell or lease? No, however, we do rotate our pro-grade audio visual equipment rental inventory to provide more up-to-date technology to our customers. I have a meeting in Baltimore one day and Virginia Beach the next. Can you provide me with equipment for both meetings?